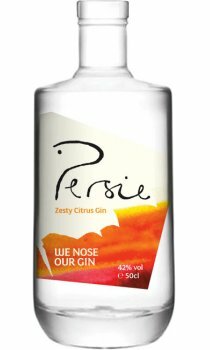 Persie Zesty Citrus is a bright citrusy gin, perfect for a tart, classic G&T. Established by Simon Fairclough who, having toured Scotland with the Scottish Gin Club (of which he is a founder), he realised that he’d be able to create a range of gins that appealed most to gin drinkers. No single gin could ever possibly tick all of the boxes so what was the way around that? Make three: Zesty Citrus Gin, Herby & Aromatic Gin and Sweet & Nutty Old Tom Gin. Crack open a bottle of naturally light tonic and pour it in. Or for something lighter, try a splash of sparkling water instead. Persie Zesty Citrus is a bright citrusy gin, perfect for a tart, classic G&T. Established by Simon Fairclough who, having toured Scotland with the Scottish Gin Club (of which he is a founder), he realised that he’d be able to create a range of gins that appealed most to gin drinkers. No single gin could ever possibly tick all of the boxes so what was the way around that? Make three: Zesty Citrus Gin, Herby & Aromatic Gin and Sweet & Nutty Old Tom Gin. Crack open a bottle of naturally light tonic and pour it in. Or for something lighter, try a splash of sparkling water instead.